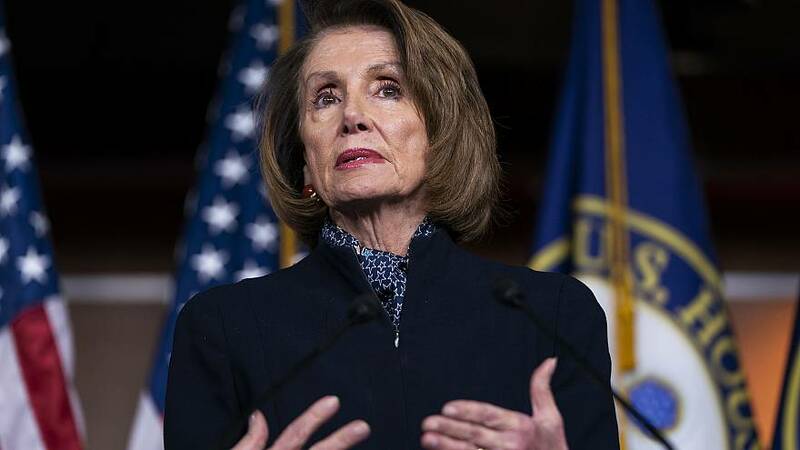 House Speaker Nancy Pelosi told reporters Thursday that her rationale for seeking to reschedule the annual State of the Union address comes down to her and other Democrats not wanting to have security officials work the event without being paid. "Maybe he [President Donald Trump] thinks it's ok not to pay people who work," she said, an apparent jab at the president over allegations that his businesses have stiffed contractors in the past. "I don't. And my caucus doesn't either." "This is why I said to the president that ... if you don't open up the government, let's discuss a mutually acceptable date," the California Democrat said, adding the previously agreed upon date of Jan. 29 "isn't sacred for any reason." On Wednesday, Pelosi wrote Trump a letter saying he should either delay the address or submit it in writing, citing the security burdens the speech before a joint session of Congress would place on the government during the partial shutdown. The White House has not yet responded to her letter, Pelosi said Thursday. A "very silent 24 hours," she noted. "The federal government remains shut down because congressional Democrats refuse to approve border security," Trump said, speaking at the Pentagon about the country's missile defense system. "We're going to have border security; it's going to be tight, it's going to be strong." "While many Democrats in the House and Senate would like to make a deal, Speaker Pelosi will not let them negotiate," Trump continued. "The party has been hijacked by the open-borders fringe within the party, the radical left becoming the radical Democrats." The President added, "Hopefully Democratic lawmakers will step forward to do what is right for our country, and what is right for our country is border security at the strongest level." Trump's comments come as the shutdown is in its 27th day. National polls show that a majority of Americans and voters blame Trump more for the partial government shutdown. They also place his approval rating below where it was on the eve of the 2018 midterms. A recent Gallup poll, for example, has Trump's approval rating at 37 percent, down from 39 percent last month.